This photo shows the deepest image or most detailed image of the Universe ever taken. The photo was taken by Hubble Space Telescope. 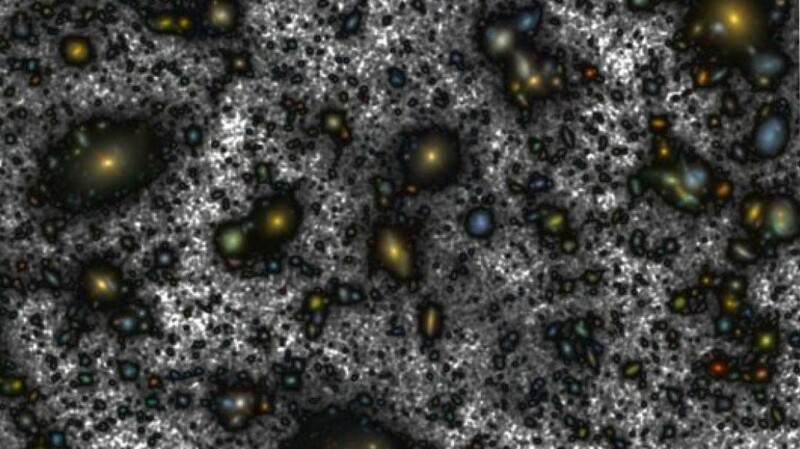 The dark grey color shows new light that has been discovered around the galaxies, while the lighter grey is used to depict the “fainter” background light that’s beamed out of more than 100 billion stars. The Hubble Space Telescope is a space telescope that was launched into low Earth orbit in 1990 and remains in operation. Hubble is one of the largest and well known as both a vital research tool and a public relations boon for astronomy. The HST is named after the astronomer Edwin Hubble along with the Compton Gamma Ray Observatory, the Chandra X-ray Observatory and the Spitzer Space Telescope. 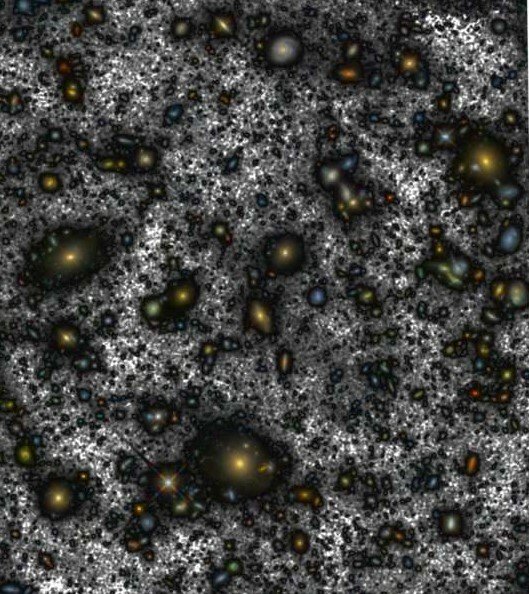 The new image, which was taken by a team of researchers at Spain’s Instituto de Astrofísica de Canarias, is essentially a composite of hundreds of images previously taken by HST of a region of the sky known as the “ultra deep field”. Specifically, they were able to use new technology to “recover light” to better illuminate certain areas. Below is the deepest image of the universe to date, bejeweled with the glow of 10,000 galaxies and looking back about 13 billion years into the past.